You can remove a man from his home, but you can't remove his home and hearth from his heart. The Kashmiri Pandits -- who marked the 29th anniversary of the beginning of their forced exodus from the Kashmir valley on January 19, 2018 -- would surely connect with this belief wherever they are settled in India or abroad. Since then -- except in 2017 -- Bill, like all Kashmiri Pandits who yearn for the smells of the soil of their motherland, has made five visits to his homeland, each time battling painful memories and ghosts of the past. 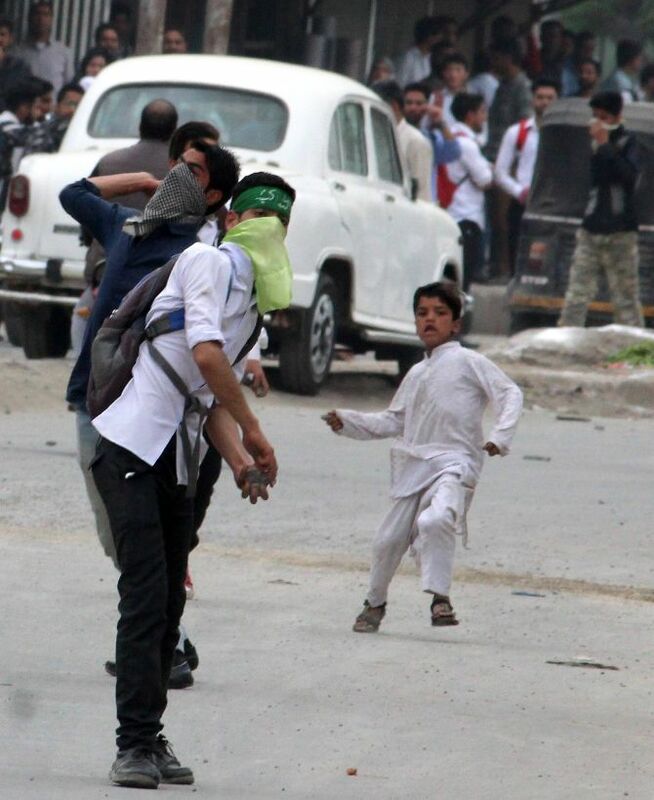 Some weeks ago, Bill's 22 Years: A Kashmir Story became a reality. 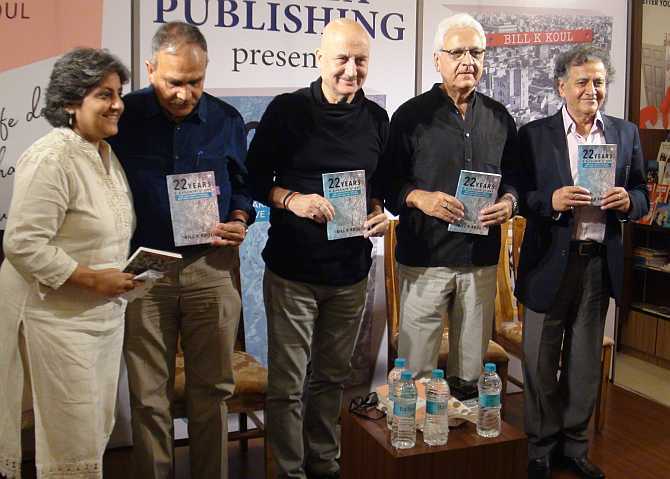 Published by Vitasta Publishing -- whose publisher Renu Kaul Verma is a Kashmiri Pandit herself -- 22 Years is one story among 'One lakh Pandit families may have one lakh stories', which is also part of the book's title, lakhs of stories to tell. An engineering consultant, Bill who lives in Perth, Australia, traveled to India to promote the book, one among three he has written in the past year, the other two being, Issues White -- Anting India and My Life Does Not Have To Be Unhappy. 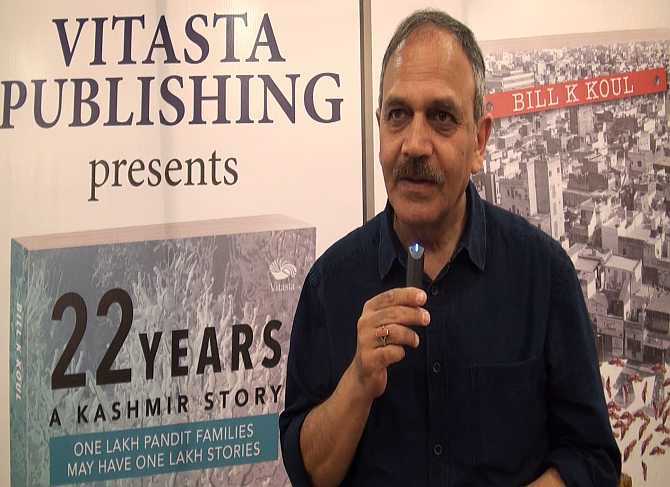 Bill spoke with Rediff/com's Prasanna D Zore about his book after its launch in Mumbai and the unending plight of the Kashmiri Pandit community. I had to fend for myself. I left -- in fear. I took a vow I'd never go back because I felt betrayed. I felt cheated. Since I was in a very emotional state -- my guru had passed away, three years before that my mother had passed away -- and I respected Abbu jaan very much. I suddenly decided to meet him. With some difficulty I reached the airport. I had a 4 o'clock (4 pm) flight from Srinagar, but I had to reach there before 8 o'clock (8 am) because the city was paralysed. It was back to a Catch 22-like situation for me. So, I revised the title from 23 years (when I first visited Kashmir in 2012 after leaving the valley in 1989) to 22 years -- and also because 22 years fitted very well. The five per cent (Kashmiri) Pandits -- we shared the same roots, the same ancestry, same culture with our Muslim brothers. We are the most harmless people in the world. We can't even kill a chicken. But we were seen to be a threat. I don't know for what. I don't know why Kashmiri Pandits had to be seen as threats (by the Kashmiri Muslims) and why armed aggression had to be raised against us. In my book's preface I have written about a conversation I had with my daughter. So, it's very important to know. It's not easy once a community has left their original homeland. Telling stories is important because history can't be forgotten. You just can't put it under the carpet. But if you meet people on the ground -- except 2017 I have gone to Kashmir for the last five years, every year for five days or a week -- and I speak to many Kashmiri youth, young people, and I have heard many people saying we love India. But they say we feel India has been treating us like step children. They say they don't have any industries, any opportunities for jobs. That's how we can be happy; that's how our ancestors were happy.